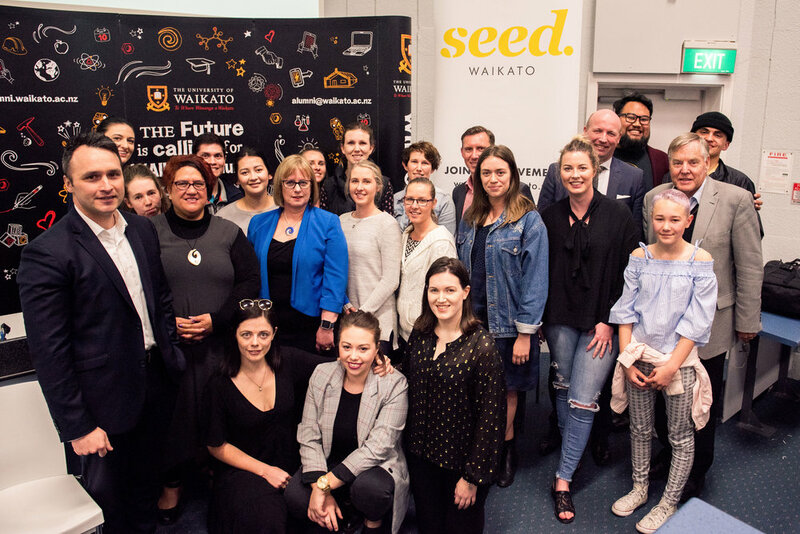 In an effort to increase the number of young New Zealanders voting, social enterprise Seed Waikato organised a political panel event at the University of Waikato last week. Calling itself Political Punch, the event brought together representatives from the country’s major political parties to discuss issues that matter to young people, including health, education and the environment. Barbara Kuriger (National Party), Brooke van Velden (Act Party), Darroch Ball (NZ First), Donna Pokere Philips (The Opportunities Party), Jamie Strange (Labour Party) and Sam Taylor (Green Party) all attended, speaking to an audience of nearly 100 students. Seed Waikato Chair and Bachelor of Management Studies graduate Gemma Major says the board was really happy with the turnout and the range of topics discussed. Gemma says Political Punch proved that young people are invested in the future of the country, and hopes the panel helped people realise that their votes make a difference. The University of Waikato sponsored the event. Vice-Chancellor Professor Neil Quigley said he was glad to see student engagement with such important issues. Seed Waikato is a social enterprise, launched by five University of Waikato alumni last year. The group holds an event every month. Next month’s event Dreamshop: Tautuhi Ano is Seed Waikato’s last for the year.